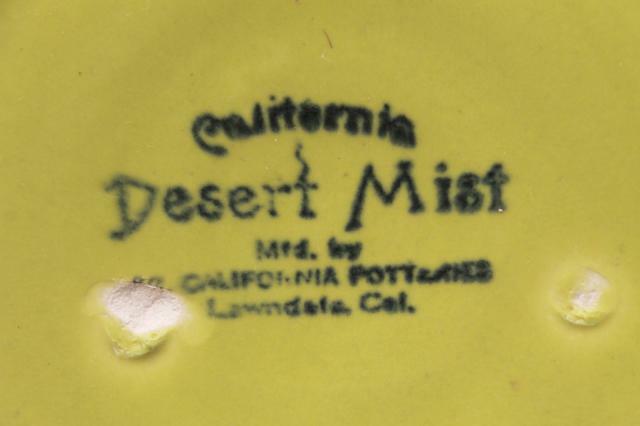 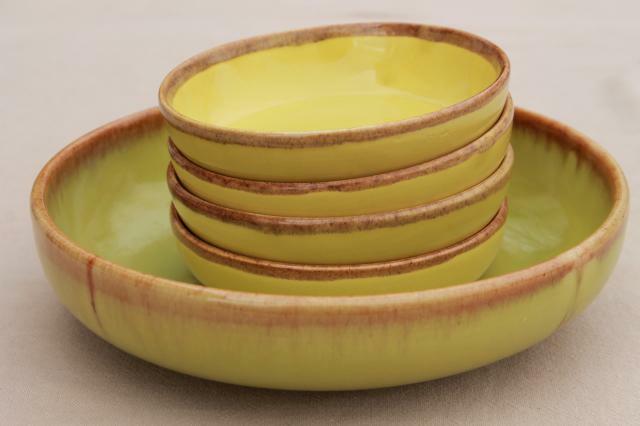 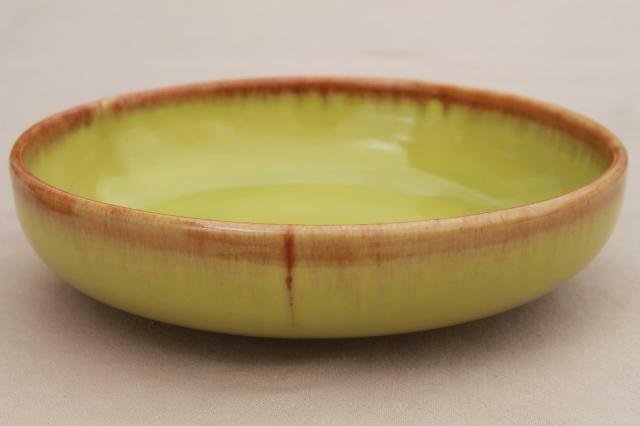 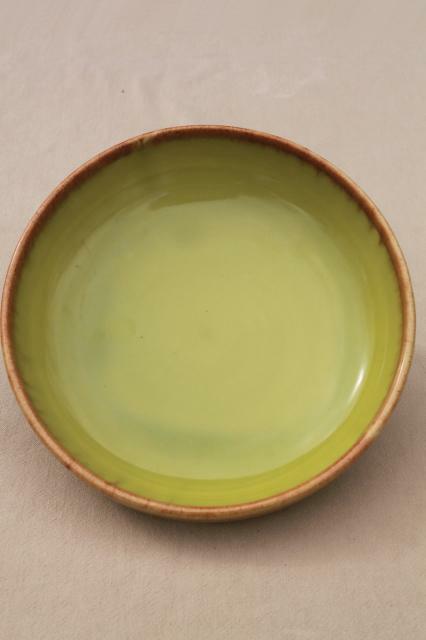 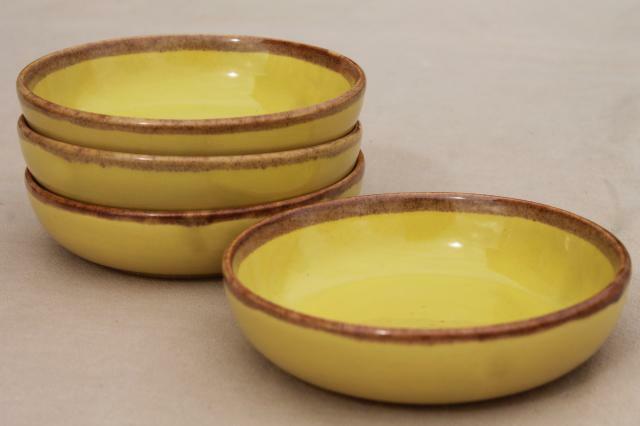 Mid-century modern Brock of California pottery salad set in the Desert Mist chartreuse green color with brown drip. 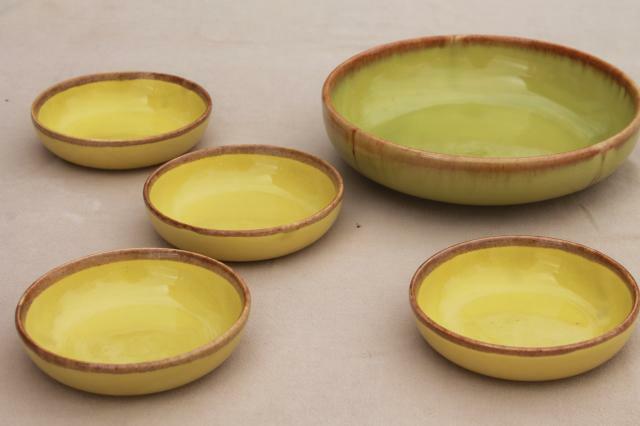 This set is one bowl about 8 1/2" in diameter and four bowls 5" in diameter. 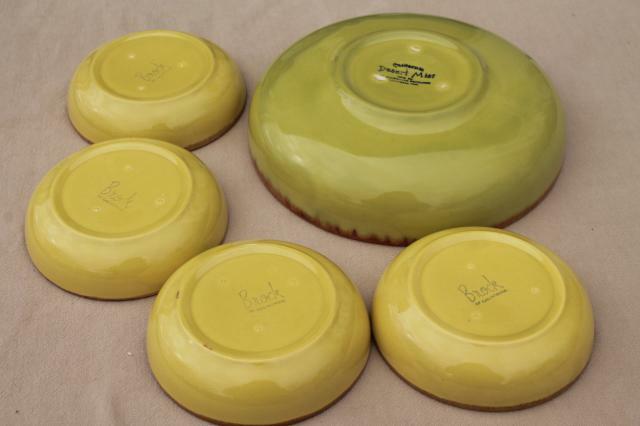 All are in very good condition, very little crazing to the glaze. 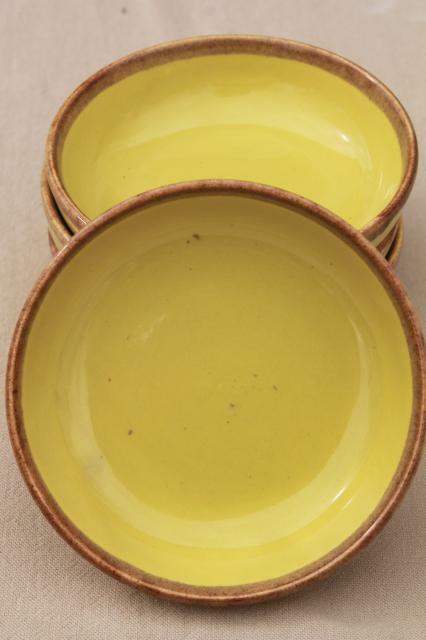 These have only the slightest of use / utensil marks, and no chips or cracks.